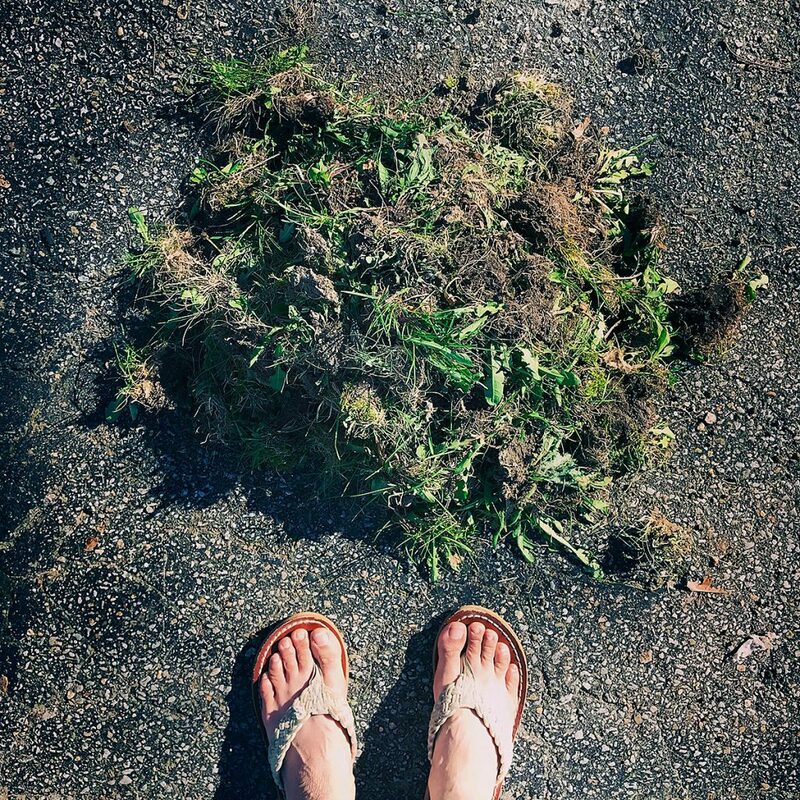 Weed removal, zero-waste style. Now that spring’s here, I’ve been digging out dandelions and other weeds from my garden. No pesticides, no plastic. And the only tool you need is a shovel. I like to wait until the ground is a bit moist (the day after a good rain is perfect) so the weeds are easier to remove. After I dig out the weeds (making sure I get the entire root), I shake off the excess soil and put them on my driveway to completely dry out. Once they’re totally dead, I’ll bring them to a nearby forest area to decompose naturally.